The Finnish largest telecommunications manufacturer, Nokia has introduced its new powerful and stylish Nokia Lumia 920 smartphone, which Nokia claims as its first Windows smartphone that cooperate with Microsoft Corp, combining 4.5-inch full touch screen display, Wi-Fi and GPS capable, 8.0 megapixels rear camera with Nokia’s Pureview branding, dual-core Qualcomm Snapdragon S4 processor, and Windows 8 OS. Nokia Lumia 920 PureMotion HD+ display offers blur-free scrolling and enhancements to sunlight readability that can react to minimize sunlight glare. In addition, Lumia 920 also boasts latest Nokia technology wireless charging called Fat Boy recharging pillow, 32GB of storage on board and have an 1GB RAM. Furthermore, Nokia Maps is also integral to the new Lumia 920 which not only turn-by-turn navigation (Nokia Drive) on board but also offline maps. Another interest features, “CityLens” which added an augmented reality to see the point of interest and the information of local shops. 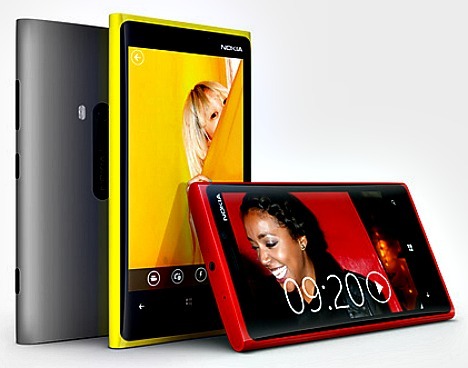 The new Nokia Lumia 920 smartphone which measures 130.3 x 70.8 x 10.7 mm and weighs only 185 grams will be available in a number of colours including grey, yellow, and red. Stay tuned for the Tip and Trick hands on Nokia Lumia 920 review, coming soon.